We are all looking for more home storage, and those of us with small homes need it more than most. 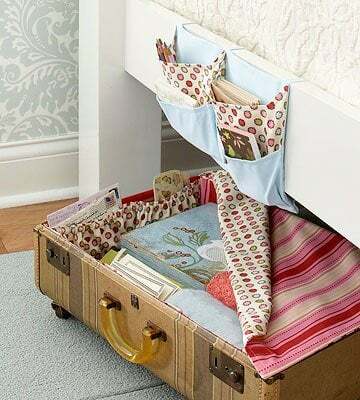 Under bed storage is not a new idea, but these ideas are! We have some clever ideas, and a couple of great tutorials to create the most of your storage space. 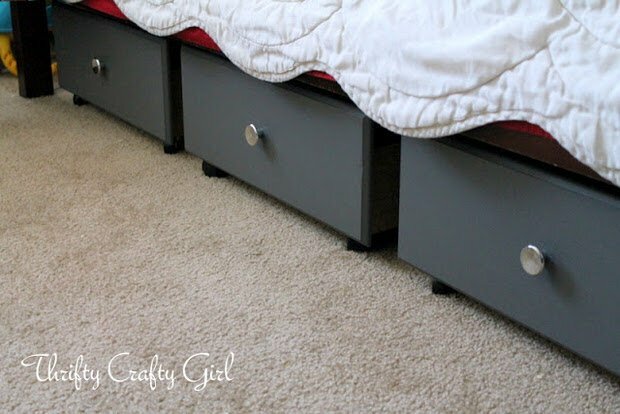 Find a container that is low enough to slide under your bed, with a few inches to spare if you plan to add casters. Check out these other creative ideas! This solution using old dresser drawers is a great idea powering across the web. 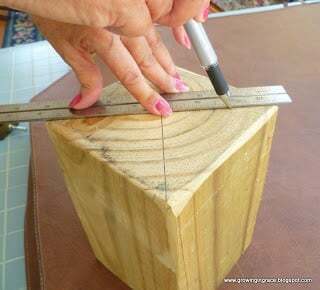 Here is a great step by step tutorial from Thrifty Crafty Girl to get you started with this basic DIY project. I love this twist on the above project… old wooden crates make really attractive storage! 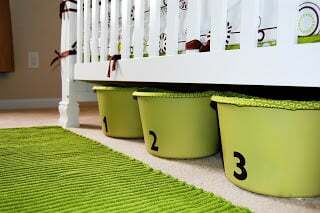 Under crib storage idea! Using a color from the room scheme and adding the stick on numbering really makes it seem more decorative than utilitarian. From Southern Lovely. Another creative and attractive under bed storage solution by BHG. This one all you ladies will love! Finally, if you don’t have enough space under your bed, even with all those great ideas, here is a tutorial on bed risers that will elevate your bed for more storage. And who doesn’t love a tall, dramatic bed? Check out the full step by step tutorial here. Previous Post Small Room Makeover: Pops of Color! Next Post Urban Rustic Design Style: How to Get It Right! Great Post! Any chance you could provide the original source for the shoe storage photo near the end (just before the pic that links to a tutorial on bed risers? All the shoe organizers I’ve seen in stores hold 2 pairs of shoes across and 4-5 pairs down. 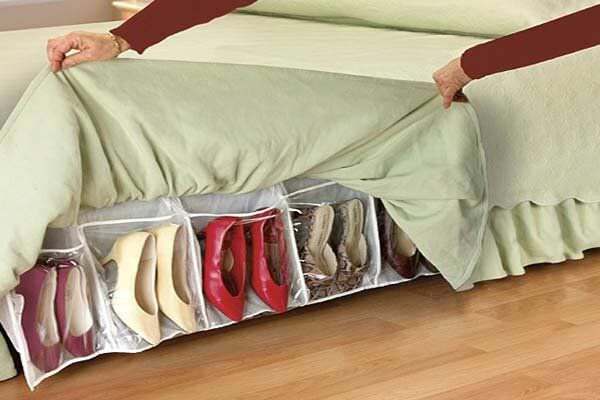 I’m wondering if someone sells a product made in this configuration; 1 pair tall and 6+ wide, or if they made their own from scratch, or from and existing hanging shoe organizer. Thanks! 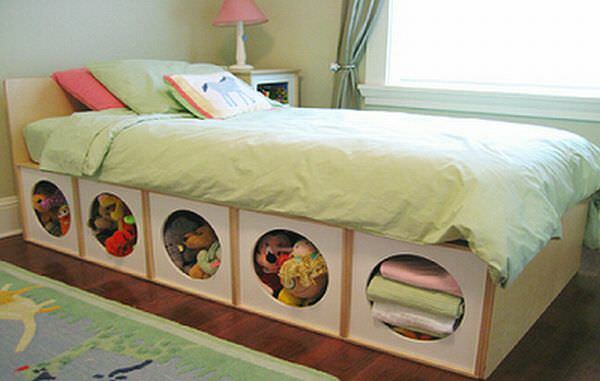 Great idea for under the bed organizing! I love them all. This beats any plastic clear container under the bed. Great pictures. Thanks for sharing. 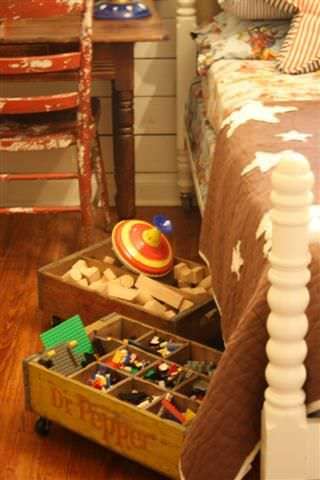 Love these under the bed ideas for smaller spaces. I love the shoe storage photo. =) Thanks for sharing.